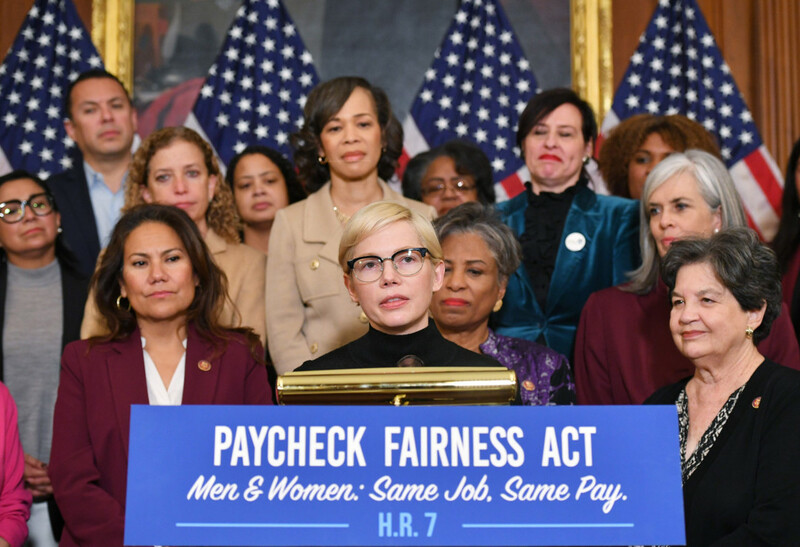 Michelle Williams, who has seen firsthand the disparity in men and women’s pay, joined lawmakers and activists on Tuesday in the Capitol to support the principle of equal pay for equal work. The Oscar nominee attended a news conference marking Equal Pay Day, designed to symbolise how far a woman has to work into the year to make what a man made in the previous year. In 2017, reports surfaced that Mark Wahlberg was paid $1.5 million (Dh5.5 million) for reshoots of the Ridley Scott film ‘All the Money in the World’ while Williams got less than $1,000 for the same work.